One of the finest beach properties in Kenya, Tequila Sunrise boasts 4 acres of natural forested habitat, acting as a haven for Colobus, Sykes & Vervet Monkeys. 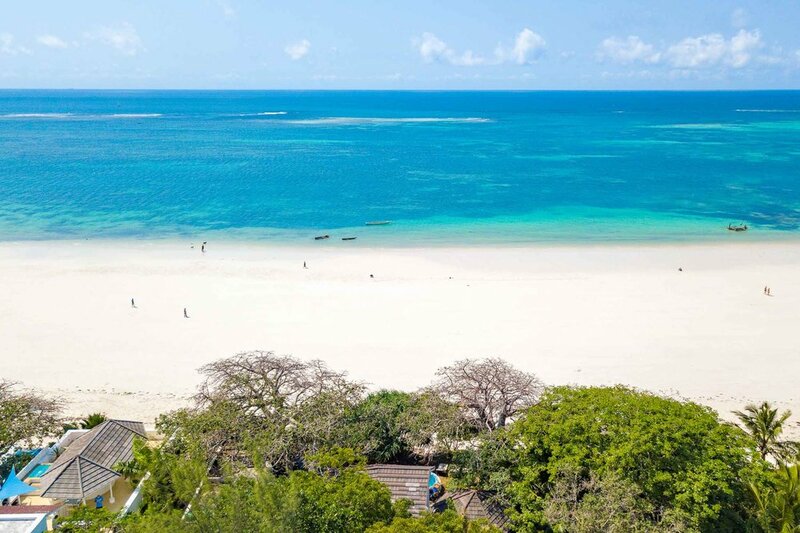 The house is surrounded by giant Baobab trees, and directly overlooks one of the finest beaches in the world. The property consists of a beachfront villa and two apartments to the side, therefore being able to cater to groups of up to 20 people if booked together. However, the apartments are also perfect for smaller family groups. All units are as close to the beach as you can be, but also offer privacy from each other. This is a second floor unit and one of three apartments making it possible to have groups of up to 10 pax in en-suite bedrooms utilising the middle floor and ground floor unit which also has its own private pool . One of the few properties on the coast that offers true high-speed fiber internet throughout the property. Small kitchenette . This unit is not really set up for cooking, it has the basics, there are multiple restaurants in walking distance on the beach .